Good morning reader, I would like to thank a special person for bringing this adorable breed to my attention, I have met only one other until I saw a picture of the two that this person has, and yes, I would love to have one of these for my own. What is the Puggle Dog? Above is Darth Vada and Gryffindor both are Puggles and with the owner’s permission I am showcasing them as the ideal “designer breed” they are! A Puggle is one of the new crossbreeds called a “designer breed”, where you breed an adult Beagle and adult Pug, the name Puggle is a portmanteau, combination of the two breed names. I have only had the pleasure of meeting one particular dog of this breed and his name was Rufus, he belonged to a neighbor of a friend of mine, and he would come to visit when I was there. Rufus was a very intelligent little guy the size of a heavy set Beagle but with the face, ears, and tail of the Pug. What a personality this little fellow had as well he sure did love to come and visit and spend time with people. His owner was none too happy over the fact that Rufus always came running over if I was there visiting leaving his own yard and crossing a back road which really gets hardly any traffic at all, but I do understand where he was coming from. Rufus was very adorable and lovable and did not mind giving out doggie kisses or getting all the pampered attention when he would come over, but he really liked the fact that I would always carry him back home to his owner when called. A Puggle can stand from 8 to 15 inches at the shoulders, weigh from 15 to 30 pounds, and has a life expectancy of 10 to 15 years. I am sure this all depends on the genes the puppy inherits from the mother and father during breeding. Breeding two full-blooded breeds to make another breed will depend on which you use for the father and of course which you are using for the mother on how the puppies are going to turn out. Making sure both parents are healthy and in good temperament with all their shots prior to breeding and you will end up with a nice healthy litter of puppies. Puggles are considered a small to medium size breed depending on their size when full-grown so you really are not going to know which size you are getting from the litter of puppies at six to seven weeks when they are ready to be taken home. Because neither the father’s or the mother’s genes will determine the size of how big the puppies will get the best estimation would be at a point somewhere in between the two sizes. Puggles being a crossbreed of the two can have health problems that are both related to the Beagle or Pug Breed and knowing this upfront can save you time in the diagnosis of any problems that could occur. The worst of this would be the Pug Dog Encephalitis that causes approximately 1.2% of deaths in Pugs, which is really necrotizing meningoencephalitis (NME). NME is an inflammatory disease of the central nervous system which is usually progressive and fatal. Symptoms of necrotizing meningoencephalitis can include the following symptoms seizures, depression, ataxia, abnormal gait, and blindness. This is most common in female fawn-colored pugs younger than 7 years of age. On the Beagle side health problems most commonly seen and know about are epilepsy, allergies, cherry eyes, hypothyroidism, hip dysplasia, and back problems. Due to the breeding of two pure breeds, the offspring are less likely to develop any of these health issues but knowing about them ahead of time was something I wanted to include in this article. Puggles will require a bit of patience with training, they can easily be discouraged if they are verbally chastised and when you hurt their feelings they are not going to be motivated to interact with you. Training them to go outside for potty training is going to take some time and be a bit tricky and hard due to the Beagle and Pug both having a tendency to have a stubborn streak. Proper socialization is necessary to keep these lively cute dogs from becoming aggressive which is often manifested in barking, lunging, nipping, and or growling. This will depend on the individual personality of each puppy as they grow. Puggles will make a great family pet they love children and with affectionate, sweet-tempered, lively, loyal, gentle, active, and energetic temperaments make good playmates. Being that they are smart, does not always mean they will be eager to please considering their willfulness, they do bark to let you know if someone is at the door but are not a guard dog. A social dog they get along with pretty much everyone. Because this is a very social dog, they do not like being left alone, so not the kind of dog you can leave while at work all day, proper training and working with your Puggle will ensure that they can be left comfortably alone for a few hours. Your Puggle will need daily exercise but not so extensive that apartment living would be hard on it, a couple of walks a day or 15 minutes of playtime would be sufficient to satisfy their activity level. The Puggle will make an excellent companion to anyone, the elderly, first-time dog owners, and families with children of all ages can feel comfortable with this crossbreed “designer dog”. Finally, wondering how much a Puggle is going to cost you? 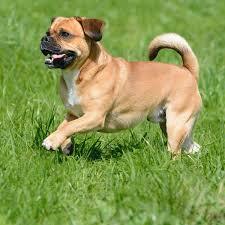 A Puggle can range from $300.00 to a high range of $1000.00 or more depending on where you are getting your puppy. Please take the time to check the breeder to ensure you are buying your puppy from a reputable breeder if they have the mother and father on the premises this is a good sign that you are getting a healthy well taken care of puppy. Remember to get a copy of the veterinarian papers showing that the puppy has been vet checked and has the first set of shots along with the first worming required for puppies. 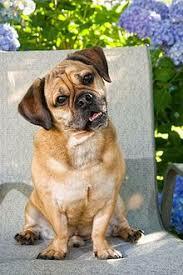 That concludes our Puggle article for today, what do you think about the new “designer breed”? We are considering a new dog and I found your website 🙂 We had a pure bred pug and she was an absolute delight. We simply adored her. She had the most beautiful temperament and was just the cutest thing ever. She did have Brachycephalic Obstructive Airway Syndrome and it was very scary for her and for us when it happened, and I would need to block her nostrils to get her to breathe correctly again. It was not at all pleasant for her but as soon as she was breathing normally again she’d forget about it and go straight back to her bowl of food like nothing had happened! It looks like the Puggle has more of a snout so hopefully BOAS would not be as much of an issue for this breed. They are simply adorable! I’m taking my boys away for a holiday next week and my husband keeps joking that he’s going to buy a new dog when we’re away. So let’s see! I am so glad you found the Puggle article useful and yes what a wonderful breed for a family with children. These cuties are so adorable like I said I have only had the pleasure to meet one but oh I would just loved to have brought him home with me. Very true about the BOAS that the Puggle could or could not be affected by this however due to the crossbreed it is less likely and that make the Puggle even more desirable. 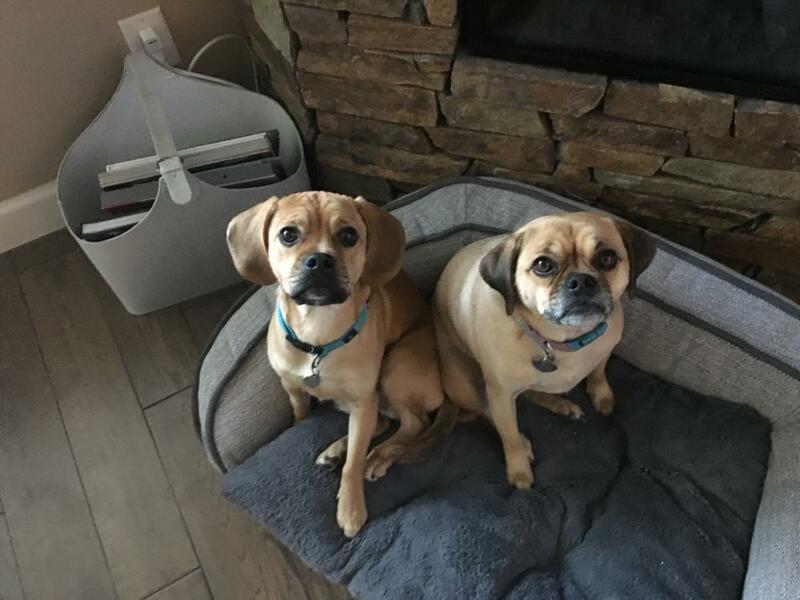 That is great that your husband is going to be looking for a dog while you are on vacation with the children can you just see their faces not to come home to one of the cutest Puggle dogs ever. Thank you so much for visiting my website today, another “designer breed” that I can do an article on thanks to you. That is so kind of you to inform me of the breed I was unaware of this mix and seriously and going to be doing a complete investigation of it. Was wondering if you would mind letting me use a picture of your Dolly as a feature in my article when I have the time to get one ready for the website? The more “designer breeds” I learn of the more I can inform all my readers and this is exactly what this website is all about, everything dog! I know somebody who has a Puggle, and it is such a sweet dog. 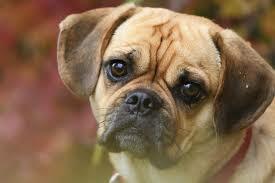 I have it in my mind that our next dog will be a Puggle as well. The health problems around them are known, so I hope that sooner or later they find something to prevent those problems because if you look at them, aren’t they adorable? I would live with them forever. It is just a bad thing our dog doesn’t want other dogs in his area, or we already would have one in the house. But in the future, we will. Thank you for stopping by Delightful Doggies 4 U today, I will agree with you 100% this “designer breed” is a very sweet and adorable looking dog. The breed you have now has a high alpha streak and as the owner, you have left him take charge of the house, but do not get me wrong this is not a bad thing some breeds with that high dominance streak when you take it away it will break their spirit and that is never a good thing. And, having more than one dog is such an enjoyable experience plus they do keep each other company when you are out of the house sometimes this companionship is required to keep them out of trouble. That is a breed that I did not know existed, but both the Beagle and the Pug are very good dogs, so these must be adorable! Just the image you have on your article makes me want to pick them up and cuddle them. I am a big dog lover and cannot see myself (and my family) without a dog. They become part of the family. A social dog is the kind I like, and this breed seems to fit perfectly that description. From your article, I have noticed that you mention that they might have a stubborn tendency, especially with potty training. I think the best way to train a dog is to get him young enough to train him properly, but only if you have time to do it! That being said, if I ever decide to get one of these very beautiful dogs (We still have Maya our standard poodle), it should be well planned. How much time would someone have to plan to get him/her properly potty trained when they first move in? I was thinking maybe 2-3 weeks at least. Do you agree? So glad you visited my website today about Delightful Doggies 4 U, and I was unaware of the breed being one of the more accepted “designer breeds” today until the owner of the two featured ones informed me of the breed. I am with you they are a lovable and adorable breed and so cuddle looking who would not want to pick one of them up and just cuddle away? The mix of the two breeds gives them so much personality and with the beagle having that slight stubborn streak then the Puggle could have a bit of one too. But Pugs, on the other hand, are a sensitive breed so you have to use a very soft hand when training this social people-loving breed. As for potty training, with the intelligence and ease of training that Pugs have it would depend on the trainer and with this breed I highly recommend a family member to do the training, then 2 to 3 weeks might be sufficient depends on the age at which you bring them home. All puppies are going to be different to train and consistency in the potty training area is a key to making this happen sooner instead of later, but with some breeds, even up to the 6 month age is not unheard of.